To order albums on CD, please fill in the following information, and a friendly member of the Resort Music team will contact you to confirm your order and collect your billing information, or order by calling 1-760.778.1725. Ask about our high volume discounts. (Shipping/handling fees will be added to your order.) 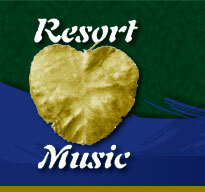 Resort Music guarantees your satisfaction. We will contact you by phone to collect payment information and confirm your order.